About us - Key Insite Ltd.
We promise to use our expertise, experience and focus, on always doing that little bit extra, to provide your business and people with the best possible IT Support. The original company was founded in 1998 by the current Owner and Managing Director, Howard Jones. We have enjoyed steady growth over the past twenty years and following a decision to re-launch under a name more reflective of how we work with our clients, we became Keyinsite in 2012. We work with a wide variety of companies, across many different industry sectors, but also have particular experience with professional services firms, such as accountants and solicitors, architecture and construction, branding and marketing, health and education, safety and security, financial, forestry, environmental and non profit organisations. The common theme is our exceptional IT support for SME’s primarily in Berkshire, Buckinghamshire, Surrey, and across the South East. We do however have a number of established long term clients further afield in the UK and Europe. Our customers are our priority and making sure their business runs smoothly is paramount. We are here all day, every day to give you round the clock support. You’ll always deal with real and friendly people, based in the UK and no automated telephone services. When things are wrong, we make them right. When things are right, we keep them that way and make them even quicker, more reliable, and more efficient. Our engineers have a wealth of knowledge and experience across a range of services and we also provide strategic advice on the latest trends and how you can plan for the future. We respond quickly to your enquiries and carry this through in the service we provide every day. We pride ourselves in our guaranteed response times and if we cant help on the phone we will often send an engineer to you on the same day. Our customers like that we are approachable and friendly. They feel happy picking up the phone and know that we can explain things jargon-free. We like to build a harmonious relationship with you, that will be successful for years rather than months. We insist on honesty and transparency in everything we do. We never oversell products and never offer inappropriate solutions. We promise to be frank, open and upfront in our advice and provide only the highest possible level of service to all our clients. Howard started his career as a sound engineer with the BBC where he ultimately managed a multi-million pound IT budget. This sparked an interest to set up on his own and formed PHJ Solutions in 1996 which grew rapidly into a successful IT support and consultancy business. Despite landing a number of large blue chip clients, Howard’s vision was to excel as an SME and to serve other SMEs who often lacked the resources or skills of large corporate departments, but for whom reliable and flexible IT solutions were still critically important. Having built a strong client base in this area, he took a decision to relaunch as Key Insite in 2012, with a new direction and company philosophy more reflective of his client base and the ever changing IT landscape. When he’s not running the company or being hands on with clients he’s most likely to be found thinking about driving fast cars and boats while working on his next DIY project. Bruce spent many years in the hospitality industry which has given him an excellent customer service ethos which he now brings enthusiastically to his role as our Helpdesk Manager. Self-taught as a master of Google and all things online he studied on his days off to gain the qualifications he needed to start his IT career. Now with nearly 10 years’ experience, he has been a key member of the team since 2015. Powered by pizza, beer and a love of motorbikes that tends to drive his colleagues crazy, when he’s not keeping our clients happy he spends much of his spare time learning programming and advancing his skillset. Having graduated with a degree in Internet Engineering, Bal tried his hand in the airline and foreign exchange industries. 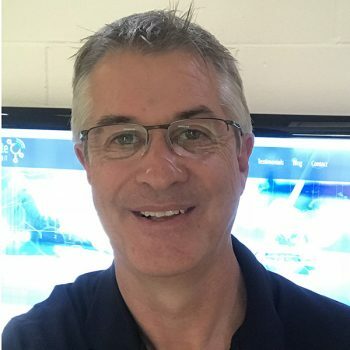 He developed his IT skills working on a variety of projects for both large corporates and SMEs including a major software migration for the NHS. He has 6 years’ experience of delivering exceptional customer service, working in multiple environments and with many different technologies, and joined Keyinsite in 2017 as our Delivery Manager. Bal always manages to keep a cool head even when sorting complex problems and keeps clients reassured with his calm and friendly approach. In his downtime he loves the challenge of learning something new. Does this sound like the kind of place that you’d like to work? Do you have the right skills to complement the services we offer? We are a small and friendly company that is expanding and are always on the lookout for the right people. If you think you have what it takes, drop us an email with your cv telling us why you’d like to become a member of the Keyinsite team.